Frown lines and crow’s feet can add unwanted years to your face and give you a tired, heavy appearance. BOTOX Cosmetic is a prescription medicine that is injected into muscles of the face to temporarily improve the look of moderate to severe forehead wrinkles, frown lines between the eyebrows and around the mouth, crow’s feet, and neck bands. A BOTOX injection is a quick, in-office procedure that is administered by one of our highly trained Nurse Injectors. The procedure takes approximately 10-15 to complete and you may begin to see results in as little as 24-48 hours, with results lasting up to four months. 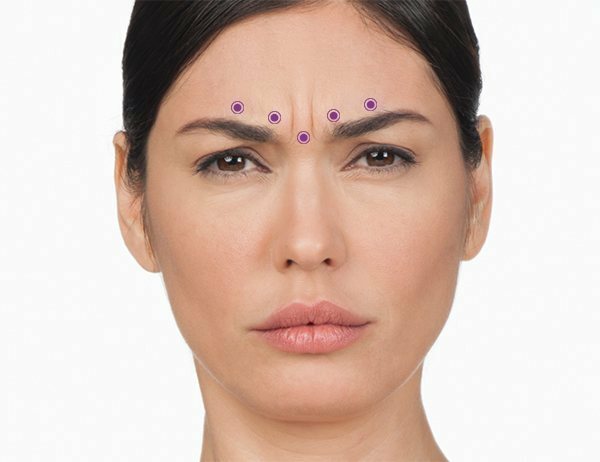 Frown lines and crow’s feet are caused by repetitive muscle contractions from frowning and squinting over several years. BOTOX works by targeting those muscles and temporarily reducing their activity, reducing the appearance of lines and making the face look visibly smoother. BOTOX® Cosmetic contains tiny amounts of a highly purified botulinum toxin protein refined from the bacterium, Clostridium botulinum. Formulations, potency, and approved doses vary among botulinum toxin products, which means that one product cannot take the place of another. For maximum results, it is crucial to select a doctor that is using genuine, unaltered BOTOX and that it is administered by an experienced injector. With over 25 years of experience, our Nurse Injectors have a thorough understanding of facial anatomy, as well as an artistic eye, enabling them to use Botox creatively to lift the brow and open the eyes, rejuvenate the mouth and lips, and shape the contours of the face. Botox injections to the face are often combined simultaneously with soft tissue fillers to provide total non-surgical rejuvenation. In addition to improving facial lines, BOTOX injections are also administered to improve the symptoms of rosacea by blocking the release of the neurotransmitter acetylcholine, which is used by the nervous system to increase sweating and dilate blood vessels. Blocking this neurotransmitter reduces the reddened appearance of the face and decreases swollen blood vessels. If you are tired of your frown lines and you are ready to let BOTOX freshen up your face, call Dr. Shapiro’s Skin Klinic (480) 451-1700 and schedule in with one of our Nurse Injectors today!